BULAWAYO, Zimbabwe, Sep 17 2018 (IPS) - Africa needs strong political commitment to accelerate the transformation of its agricultural sector. 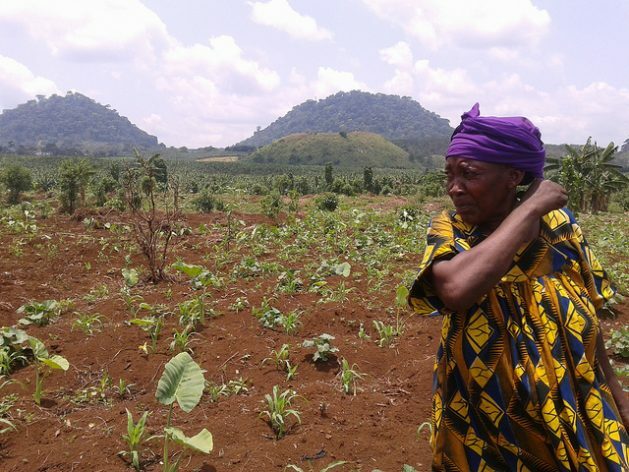 According to the 2018 Africa Agriculture Status Report (AASR), Catalyzing State Capacity to Drive Agriculture Transformation, released this September by the Alliance for a Green Revolution in Africa (AGRA), African states need political will to boost production and income on the millions of small, family farms that grow most of Africa’s food. Citing the example of the late prime minister of Ethiopia, Meles Zenawi, Sumba said the former Ethiopian leader understood rural farmers as well as how important scientific knowledge was to progress and that contributed to his political will to implement effective policies. As a result, Ethiopia is the only country in Africa that has achieved the highest agricultural growth rates over an extended period of time. Most African countries struggle to realise economic growth for agriculture because of lack of political leadership, the report found. However, the report notes some exceptions of countries whose agricultural development provides an example for others. In addition to Ethiopia, the report says Rwanda has marshalled political support for agriculture and integrated detailed action plans within its broader economic development strategies. Progress in the agricultural sector is credited with lifting over one million Rwandans out of extreme poverty in a relatively short period. 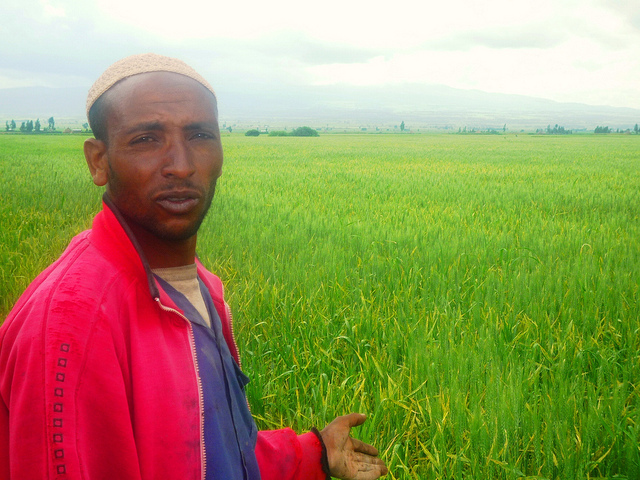 Ethiopia, for the past 25 years, has consistently exceeded the CAADP target of six percent growth in the agricultural sector. The government consistently made CAADP the core of its agricultural plan. Available evidence suggests that political will to support agricultural transformation has remained limited in most African countries. This implies that political will must be raised for agriculture to drive economic development, Sumba said. The report, which was released at the annual African Green Revolution Forum (AGRF) in Kigali, Rwanda, notes that countries like China, Ethiopia, Rwanda and Morocco have seen the economic benefits of intensifying commercial production on small farms. For example, China’s agricultural transformation is credited with kick starting a rapid decline in rural poverty, from 53 percent in 1981 to eight percent in 2001. In Ethiopia, 25 years of steady growth in the farm sector has cut rural poverty rates in half and in rural Rwanda, over the same period, poverty has reduced by 25 percent, the report notes. AGRA president Dr. Agnes Kalibata says governments are central to driving an inclusive agriculture transformation agenda. The report highlights the value of strengthening country planning, coordination and implementation capacity while supporting the development of an effective private sector and an enabling regulatory environment to boost agricultural productivity. “Our experience and lessons have shown that impact can be achieved faster by supporting countries to deliver on their own transformation; driving scale through a well-planned and coordinated approach to resources in the public domain to build systems and institutions,” said Kalibata. “Governments are definitely central to driving an inclusive agriculture transformation agenda. This body of work recognises their role and aims to highlight the value of strengthening country planning, coordination and implementation capacity while supporting the development of an effective private sector and enabling regulatory environment,” she added. With over 800 million people worldwide suffering from hunger and more than two billion affected by malnutrition, food insecurity remains a real threat to global development and more so in Africa. The African Development Bank (AfDB) estimates that an additional 38 million Africans will be hungry by 2050. This is despite the fact that the continent has sufficient land, water and manpower to produce more food than it imports. The AfDB projects that food imports will grow to USD 110 billion annually by 2025 if the current trend continues without the urgency to invest in agriculture production and value addition. “Lack of democratisation looms large when it comes to explaining (and hence diagnosing implementation needs) lack of political will to pursue agricultural transformation, the report says. “Political competition increases the attention to agricultural growth and hence to the extent of discrimination against agriculture on such items as taxation,” the Africa Agriculture Status Report states.